Touchdown Celebration - Sterling Silver - Ring Size 6.75 was added to your cart. The 30... the 20... the 10... the 5... TOUCHDOWN! There is no better feeling than when your team scores a touchdown. (Unless you are from Jacksonville... maybe next game guys.) Instead of celebrating by buying a beer, celebrate with this new right hand ring! 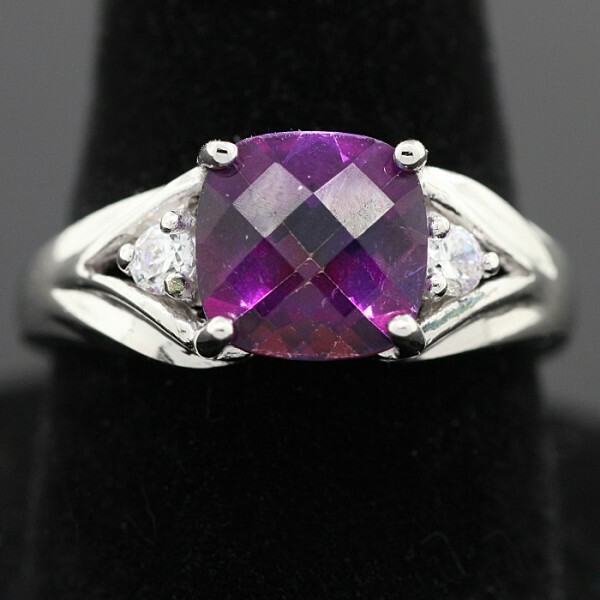 The sparkle from this amethyst ring is so much better than a bad hangover Monday morning.